One week done and one week left to go before we face the unwanted, but necessary, Finals. I’ll be dividing this blog into two, one to cover this past week and some things I’ll be expecting next week, and the second to briefly write about Thanksgiving, even though it was over a week ago. The main schoolwork that I had this week was my theater presentation for the play we recently read in class, “Rabbit Hole” by David Lindsay Abaire. It’s a really good play about a family’s life and coping in the aftermath of a tragic accident. For those who have read it, I got to play Izzy and my partner played Becca in the scene towards the beginning of the play where my character reveals that she is pregnant (6:45 to 8:30 in the video). Though my life is nothing like my character’s, my attitude has similar qualities with Izzy’s, so getting into character and playing her was enjoyable. My performance on Tuesday was the first of two, my second one being on my Final day. Next week will be just as busy as Finals week. I have two papers due on Monday, one for my BSAD 220 class, and one for my Management class. For my BSAD class paper, I had to interview an individual working in a business environment, and I conducted my interview yesterday. I got so much valuable information, not just for my paper, but for me personally. The best advice and information that I got was that it is okay if I’m not sure yet what I want to do with my life after I graduate. I don’t need to have my life mapped out for myself just yet, and what is important is that I follow my heart in whatever direction it wants to take me career wise. Even though I will make mistakes along the way, I do not want to look back in thirty years and feel like I wasted my precious time in a job that wasn’t for me. This advice may seem logical, but when you hear a successful person who has been in the professional world for many years say this, it helps ease the fears of what happens after this stage in our lives. Besides having two papers due on Monday, I also have an oral evaluation for my Literature class on Tuesday, my Final Theater paper due on Thursday, and a Final next Friday. I’m a little nervous about succeeding at all these things, but I’m simultaneously excited to tackle them. I feel like a runner who has to sprint the last 100 meters of a race, when the adrenaline kicks into high gear- it’s empowering. It’s that time. It sneaks up on you doesn’t it? If you remember, I reminded you about 3 weeks ago that this day would come. It’s here. The priority deadline for submitting your application to Loyola is just 1 day away on Saturday, December 1. Here is my previous post to guide you. Saturday, December 1 is Loyola’s priority deadline for admission. This means that you receive your best opportunity for admission and scholarship consideration when you apply by this date. The application for admission serves as your scholarship application as well—no additional forms or questions! So, if you started your application already, remember to finalize and click “Submit.” We will then check for the rest of your credentials to complete your file and give you a decision in 4–6 weeks. If you have been putting off filling out the application, it is time to get it done. The application is easy, FREE, and takes about 10–15 minutes of your time. Think about it. You’ve done all the hard work already. Now, it’s time to let your efforts show in your application. We are glad that you are considering becoming a part of Loyola’s Class of 2017! Christmas On Campus! Check out our shirts! It’s crunch time for Christmas On Campus. Busy busy busy! I’ll be sure to post a detailed blog after Sunday. Have a great weekend! The back of the shirts! Yesterday, I got an e-mail telling me I had a package and needed to come to the mailroom to pick it up. Getting a package is a big deal for me, especially when no one told me to be expecting it in advance. I headed to the mailroom and got the package. 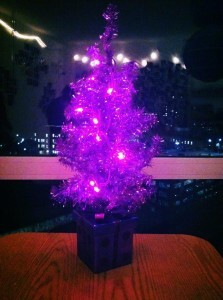 Inside, was a small, purple Christmas tree! I was so happy. While I’m at college I always miss out on the decorating, lights and other holiday festivities that my family does at home. I stretched the branches of the tree, got it plugged in and placed it perfectly on my kitchen table. This tree really got my roommate and I in the spirit. We made the best playlist of our favorite Christmas music and listened to it while we decorated our room with paper snowflakes, candy cane lights and pictures we drew on computer paper. It’s nothing fancy, but it’s a college dorm room and it’s cozy enough. Along with this, various signs of the holiday are staring to appear throughout this city. The nativity scene is displayed outside of Loyola’s Mundelien Center, the annual lightigning of downtown and Christmas parade on Michigan Ave. took place about two weeks ago and I am noticing more and more Christmas music every time I walk into a store. 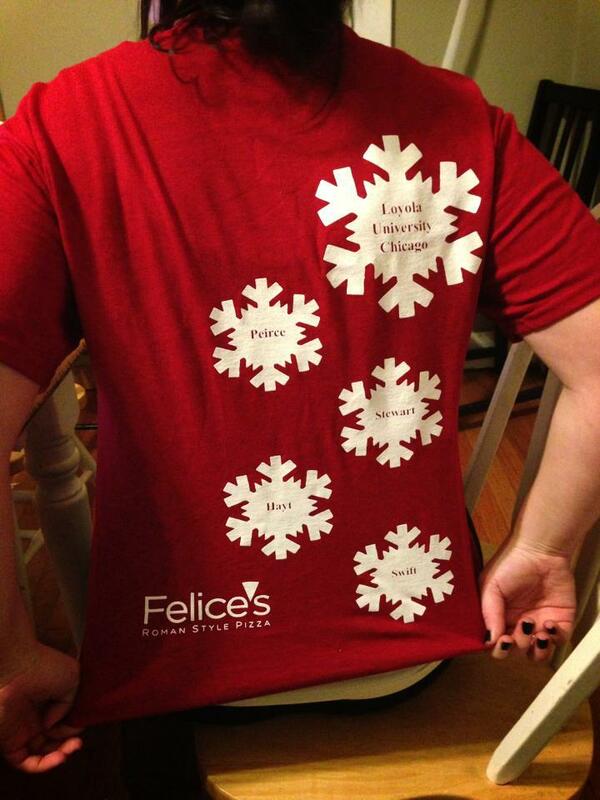 Can’t wait for even more festive surprises as December is just two days away! Happy Holidays! Great food. Free time. Football…lots of football. The Macy’s Thanksgiving Day Parade is on. My dad and I still discuss which float we like best or which Broadway singer’s lip-syncing doesn’t seem on target. We also love the marching bands. The holiday shopping season is about to commence, and houses will soon don festive lights and decorations. Hopefully, you take a moment to give thanks for what is important to you. Certainly, I am thankful for good health, friends, family, great colleagues, and just the chance to do what I do every day. I think there is a saying that if you love what you do, it really isn’t work. How true. Have a great Thanksgiving holiday and best wishes to you and your family! Did I get you excited? Well I should warn you that I am a big literature nerd, so I may be too excited about this. But, in my opinion at least, I got my roommate the best birthday present EVER. I found a website that lets you order your favorite books and replaces the main characters names with your own names. If you are thinking to yourself that this is in no way the best birthday present EVER then I am sorry to disappoint you. 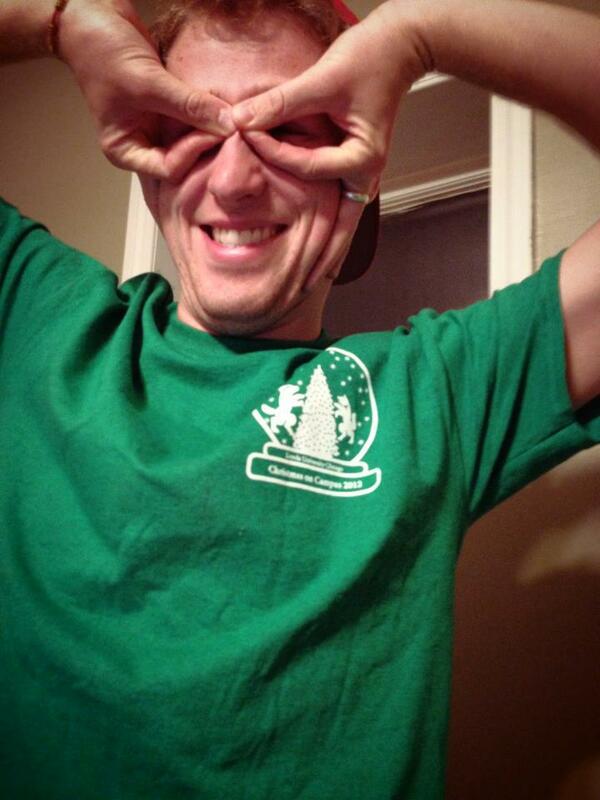 But for everyone else who thinks think is as cool as I do, how awesome right??? My roommate is a big reader so this is a perfect for gift for her. 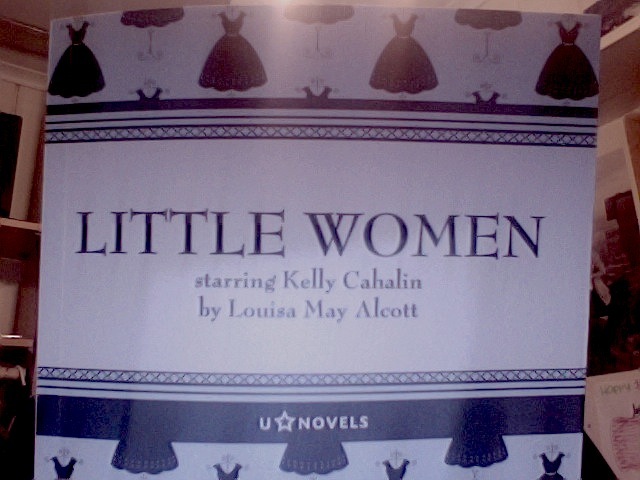 I ordered “Little Women” and got to change the names of six characters to whatever I wanted them to be. I switched the names of Jo, Meg, Beth Amy, Laurie and Mrs. March. The four girls became Kelly, MC, Cat, and Mary (the birthday girl and our other roommates), Laurie became Leonardo DiCaprio 🙂 and Mrs. March became Nancy (the birthday girl’s moms name). The book arrived not even a week after I ordered it and I can hardly wait a week to give it to her. The website also has books such as “Pride and Prejudice” “Peter Pan” “Treasure Island” and “The Wizard of Oz.” You can put any name you want in any of these and more! Obviously, I think it is very very cool. I can’t wait to give my roommate her book and see how she likes it. A few weeks ago, my roommate and I were just sitting in our room browsing the internet. Twitter and Facebook immediately started exploding with the news that not only Oprah, but also Justin Bieber, were in the vicinity of only a few blocks of the downtown campus! They were at Ralph Lauren Restaurant. We immediately rushed downstairs and outside to find them. 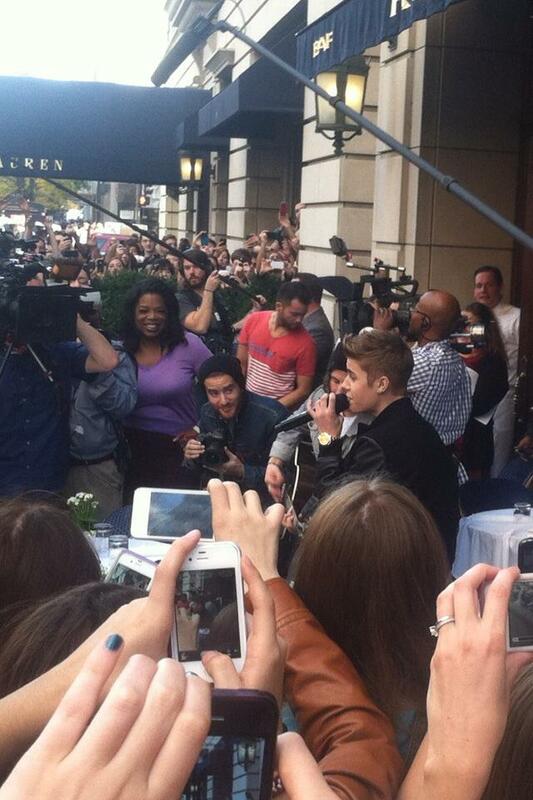 Outside of Ralph Lauren Restaurant, there was a huge swarm of people with cameras and iPhones trying to get a glimpse of Biebs and Oprah. They both eventually came outside, and Justin even sang a song! My friend and I pushed our way up to the front and got a pretty cool picture of the two of them. Apparently, Justin was in town for his concert, and he stopped to meet up with Oprah at the restaurant for an interview. Here’s the picture we captured!